Bay leaf is one of the oldest herbs or spice. It is native of Asia Minor and is known by the name of 'Sweet bay', 'bay laurel', 'Noble laurel' and 'True laurel'. These leaves have aromatic odor and are bitter and spicy. Bay Leaves or Laurel Leaves are evergreen shrub or dried leaves whose upper surface is glabrous , shiny, olive green, and lower surface is dull olive to brown. The leaf size ranges from from 2.5 to 7.5 cms in length and 1.6 to 2.5 cms in breadth. The shape of the leaf is elliptical. Packing : Food Grade Silver Coated Alumunium Bottels And As Per Client Requirements.Bay leaf is one of the oldest herbs or spice. 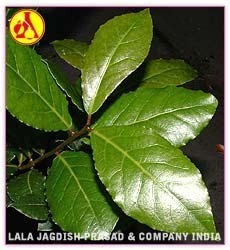 It is native of Asia Minor and is known by the name of 'Sweet bay', 'bay laurel', 'Noble laurel' and 'True laurel'. These leaves have aromatic odor and are bitter and spicy. 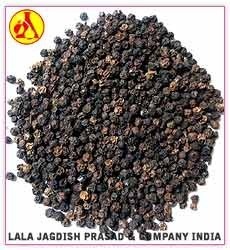 Black Pepper is one of the most internationally traded spice belonging to the family of Piperaceae. The plant is cultivated for its fruit and is popularly used as a spice and seasoning after drying. Packing : Food Grade Silver Coated Alumunium Bottels And As Per Client Requirements.Black Pepper is one of the most internationally traded spice belonging to the family of Piperaceae. The plant is cultivated for its fruit and is popularly used as a spice and seasoning after drying. 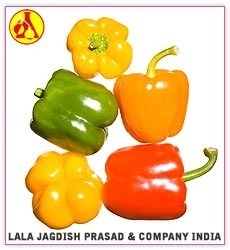 Capsicum is a perennial plant belonging to the solanaceae family and used as a spice, vegetable and medicine. It is also known as Pepper, Chile Pepper in different countries. An oleoresin is obtained by solvent extraction of the plant. Packing : Food Grade Silver Coated Alumunium Bottels And As Per Client Requirements.Capsicum is a perennial plant belonging to the solanaceae family and used as a spice, vegetable and medicine. It is also known as Pepper, Chile Pepper in different countries. An oleoresin is obtained by solvent extraction of the plant. Caraway Seed is actually the fruit of a biennial herb in the parsley family, known as Carum carvi. Caraway Seed has a pungent aroma and a distinctly sweet but tangy flavor. Caraway is native to Asia as well as northern and central Europe. First used in antiquity, Caraway has been cultivated in Europe since the Middle Ages. Packing : Food Grade Silver Coated Alumunium Bottels And As Per Client Requirements.Caraway Seed is actually the fruit of a biennial herb in the parsley family, known as Carum carvi. Caraway Seed has a pungent aroma and a distinctly sweet but tangy flavor. Caraway is native to Asia as well as northern and central Europe. First used in antiquity, Caraway has been cultivated in Europe since the Middle Ages. Cardamom finds extensive use in Scandinavian and Indian cuisine. 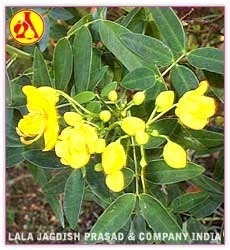 It is sweet and aromatic and is very pleasant It is found in Asian countries and also Australia depending on the type. It is one of the most expensive spice after saffron and vanilla. 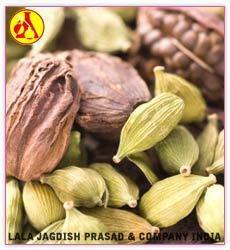 Malabar and the Guatemalan varieties of the cardamom are the major commercial varieties. Packing : Food Grade Silver Coated Alumunium Bottels And As Per Client Requirements.Cardamom finds extensive use in Scandinavian and Indian cuisine. 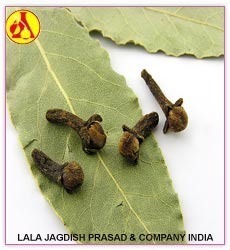 It is sweet and aromatic and is very pleasant It is found in Asian countries and also Australia depending on the type. It is one of the most expensive spice after saffron and vanilla. Malabar and the Guatemalan varieties of the cardamom are the major commercial varieties. Chinese cinnamon also sometimes called as cassia belongs to the plant family Lauraceae. It consists of the aromatic bark. 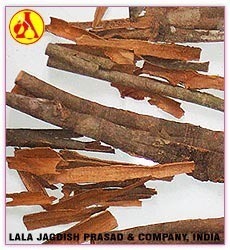 The bark of the cassia or Chinese cinnamon has more pungent smell as compared to true cinnamon. It has less delicate flavour and is thicker than cinnamon bark. It is used both for culinary and medicinal purpose. It has good capability to to flavor foods and confectionery items particularly liqueurs and chocolate. Chinese Cinnamon bark is believed to posses strong Yang tonic which can be used to correct many physical deficiencies. Packing : Food Grade Silver Coated Alumunium Bottels And As Per Client Requirements.Chinese cinnamon also sometimes called as cassia belongs to the plant family Lauraceae. It consists of the aromatic bark. The bark of the cassia or Chinese cinnamon has more pungent smell as compared to true cinnamon. It has less delicate flavour and is thicker than cinnamon bark. It is used both for culinary and medicinal purpose. It has good capability to to flavor foods and confectionery items particularly liqueurs and chocolate. Chinese Cinnamon bark is believed to posses strong Yang tonic which can be used to correct many physical deficiencies. Celery is a biennial plant used as a culinary herb for its flavor and aroma. It is used both as vegetable and spice The herb is native to Northern and western Europe. Stalk and seeds of the herb are used for food flavoring. 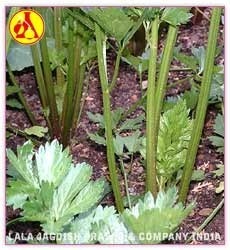 It is also known as Chinese celery or Oriental celery. Celery is valued not only for its prized stalks but also for its leaves, roots and seeds. Packing : Food Grade Silver Coated Alumunium Bottels And As Per Client Requirements.Celery is a biennial plant used as a culinary herb for its flavor and aroma. It is used both as vegetable and spice The herb is native to Northern and western Europe. Stalk and seeds of the herb are used for food flavoring. It is also known as Chinese celery or Oriental celery. Celery is valued not only for its prized stalks but also for its leaves, roots and seeds. Chilli is one of the largest traded spice in the international market. It is also known as Capsicum, Red pepper, Paprika depending on the species and variety. This spice is extensively used for food flavoring and coloring and also for certain medicinal properties. Chillies are available in a number of varieties, colors and fragrances. Botanical Name : Capsicum annum L., Capsicum frutescens L.
Packing : Food Grade Silver Coated Alumunium Bottels And As Per Client Requirements.Chilli is one of the largest traded spice in the international market. 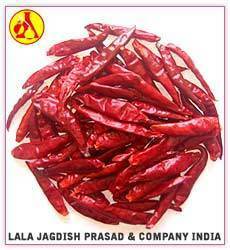 It is also known as Capsicum, Red pepper, Paprika depending on the species and variety. This spice is extensively used for food flavoring and coloring and also for certain medicinal properties. Chillies are available in a number of varieties, colors and fragrances. With Cinnamon having a long history of culinary & medicinal usage, its high aldehyde content also makes it useful antimicrobial as well as antiseptic. Being a highly prized commodity as well as having one of the most recognized scents in the world, Cinnamaldehyde is main constituent extracted from the bark oil. Some of its properties include analgesic, anti-fungal, antibacterial, anti-inflammatory, antiseptic, antimicrobial, antispasmodic, astringent, , carminative, expectorant, digestive, stomachic, stimulant and vermifuge. It is also used in perfumery industry for giving a blend lift as well as strength. It should be avoided completely by pregnant ladies. 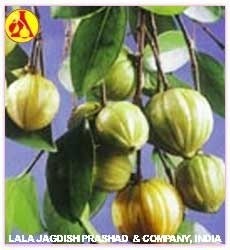 Benefits: Cough & cold, diarrhea, infection, nervous exhaustion, insect bites, rheumatism, stress, stomach cramps, toothache. Blends With: Benzoin, cardamom, frankincense, clove, ginger, lemon, grapefruit, mandarin, nutmeg, marjoram, peppermint, orange, petitgrain, peru balsam, rose, ylang ylang and vanilla. Quantity Available: 1 Kg., 500, 250, 100, 50 Gms., and as per requirements of the clients. Packing: Food grade silver coated alumunium bottles and as per client's requirement.With Cinnamon having a long history of culinary & medicinal usage, its high aldehyde content also makes it useful antimicrobial as well as antiseptic. Being a highly prized commodity as well as having one of the most recognized scents in the world, Cinnamaldehyde is main constituent extracted from the bark oil. Some of its properties include analgesic, anti-fungal, antibacterial, anti-inflammatory, antiseptic, antimicrobial, antispasmodic, astringent, aphrodisiac, carminative, expectorant, digestive, stomachic, stimulant and vermifuge. It is also used in perfumery industry for giving a blend lift as well as strength. It should be avoided completely by pregnant ladies. 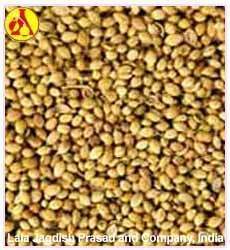 Coriander Seed And Fresh Coriander Leaves Are Too Well Known To Need Any Introduction Decription In India, Particularly To The Housewifes. It Is A Native Mediterranean Region India Morocco, The Common Wealth Of Independent States, Hungary, Poland, Rumania,Mexico And Usa Are The Important Countries Where Coriander Is Commercially Grown. Packing : Food Grade Silver Coated Alumunium Bottels And As Per Client Requirements.Coriander Seed And Fresh Coriander Leaves Are Too Well Known To Need Any Introduction Decription In India, Particularly To The Housewifes. It Is A Native Mediterranean Region India Morocco, The Common Wealth Of Independent States, Hungary, Poland, Rumania,Mexico And Usa Are The Important Countries Where Coriander Is Commercially Grown. 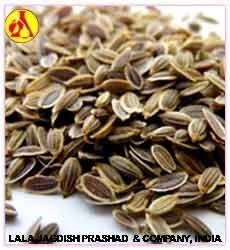 Cumin plant is an annual herbaceous plant and its seeds are used as an efficient digestive food spice. Cumin seeds are used in Latin America, North Africa and all over Asia as the most popular spice. It has been a part of the diet and a popular spice regularly used as a flavoring agent in a number of ethnic cuisines. Considered native to the Mediterranean region, black cumin seed is cultivated in North Africa, Asia, and southeastern Europe. Habitat : Upper Egypt, Arabia, India, China, and in the countries bordering on the Mediterranean. Packing : Food grade silver coated aluminum bottles and as per client's requirements.Cumin plant is an annual herbaceous plant and its seeds are used as an efficient digestive food spice. Cumin seeds are used in Latin America, North Africa and all over Asia as the most popular spice. It has been a part of the diet and a popular spice regularly used as a flavoring agent in a number of ethnic cuisines. Considered native to the Mediterranean region, black cumin seed is cultivated in North Africa, Asia, and southeastern Europe. Packing : Food grade silver coated aluminum bottles and as per client's requirements. 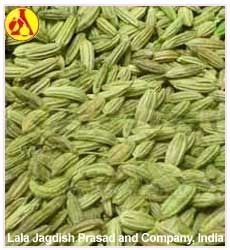 Originated in Central Asia, Dill seeds are grown in large quantity in Egypt, Mediterranean countries or Eastern Europe. 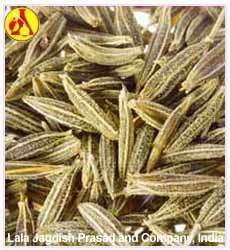 Used for its strong aroma and for flavoring food in different cuisines, the dill seeds also have medicinal properties as well. It is generally used for its antispasmodic, carminative, diuretic, stimulant, and stomachic properties. Packing : Food grade silver coated aluminum bottles and as per client's requirements.Originated in Central Asia, Dill seeds are grown in large quantity in Egypt, Mediterranean countries or Eastern Europe. 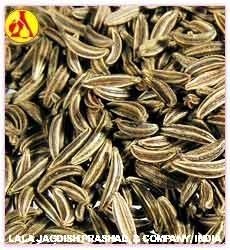 Used for its strong aroma and for flavoring food in different cuisines, the dill seeds also have medicinal properties as well. It is generally used for its antispasmodic, carminative, diuretic, stimulant, and stomachic properties. Fennel is the dried ripe fruit of herbaceous plant, which grows well in mild climates. It has different uses in different countries. In ancient times, it was used as a condiment and culinary spice, today it is used for meat dishes, fishes and seafood etc., to give a sweet flavor that also harmonize the earthy aroma of bread and also to give pickles or vinegar a special flavor. Available : 20 Ltrs.,10 Ltrs., 5 Ltrs., 2 Ltrs., 1 Ltr. Packing : Food grade silver coated aluminum bottles and as per client's requirements.Fennel is the dried ripe fruit of herbaceous plant, which grows well in mild climates. It has different uses in different countries. In ancient times, it was used as a condiment and culinary spice, today it is used for meat dishes, fishes and seafood etc., to give a sweet flavor that also harmonize the earthy aroma of bread and also to give pickles or vinegar a special flavor. 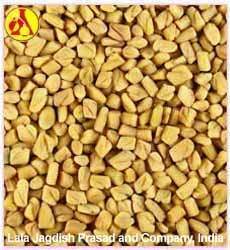 FenugreekFenugreek seeds are used both as a food additive as well as is widely known for its medicinal properties. The seeds provide tangy flavors and a powerful aroma to the vegetable and lentil dishes. Fenugreek are used and grown throughout the South Asia, it is also used as a domestic remedy for controlling blood cholesterol, diabetics, stomach troubles etc. Fenugreek seeds are used both as a food additive as well as is widely known for its medicinal properties. The seeds provide tangy flavors and a powerful aroma to the vegetable and lentil dishes. Fenugreek are used and grown throughout the South Asia, it is also used as a domestic remedy for controlling blood cholesterol, diabetics, stomach troubles etc.